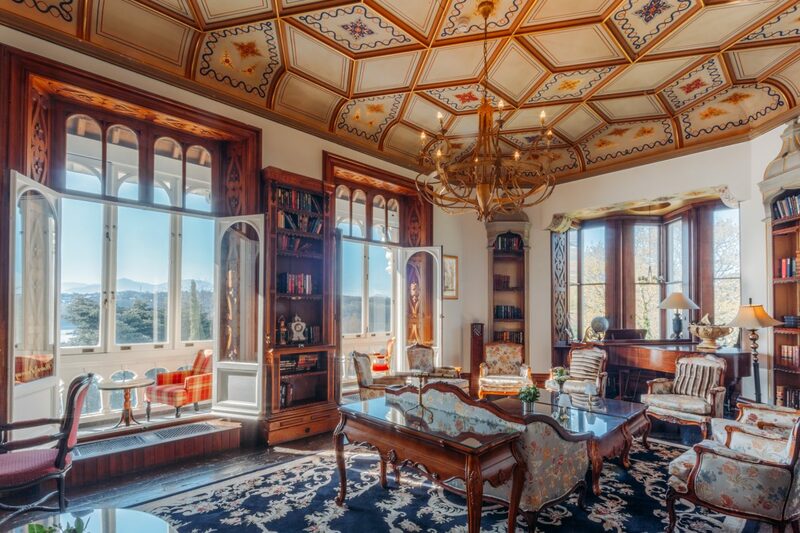 Not everyone can afford to buy a castle, but that doesn’t mean you can’t live in one. At least for a few nights. 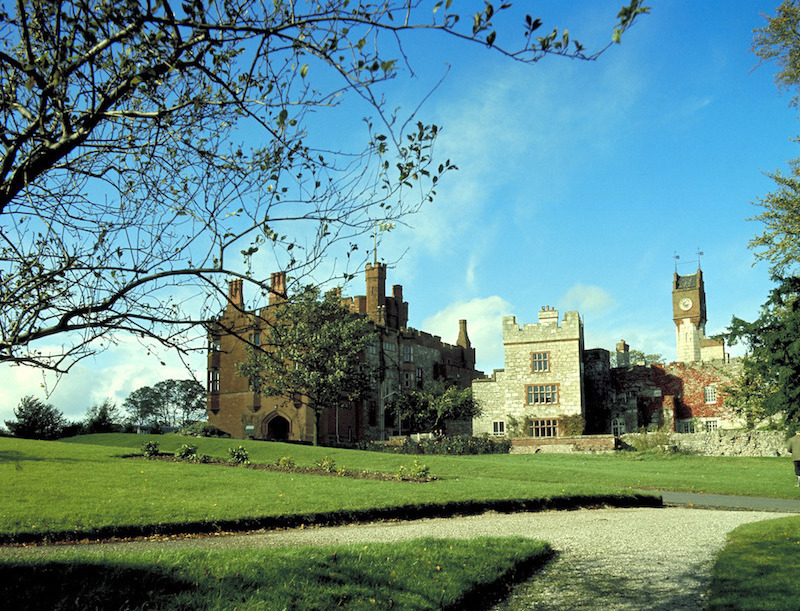 Britain is blessed with many castles, often in stunning locations, full of history. 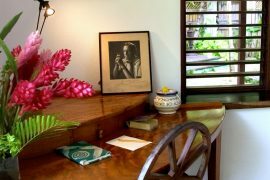 Many of these national treasures have been transformed into hotels, offering accommodation, from bed and breakfast to fully fledged hotels. 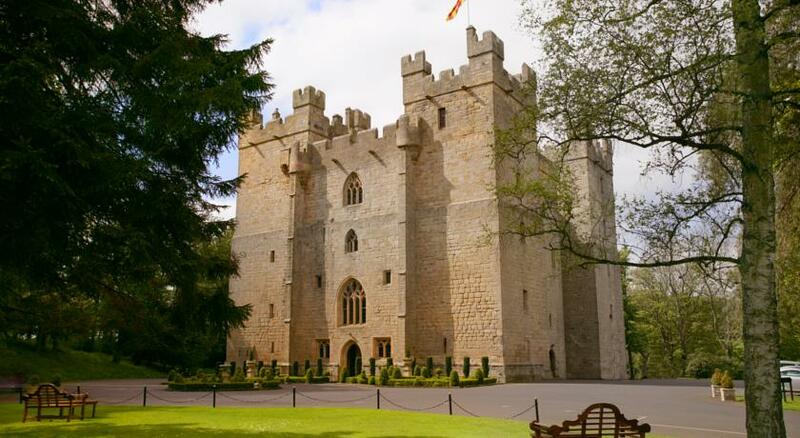 Here are 10 fascinating castles in Britain were you can sleep and live like royalty. Originally known as The Red Castle in the Great Marsh, Ruthin was constructed in the late 13th century by Dafydd, the brother of Prince Llywelyn. 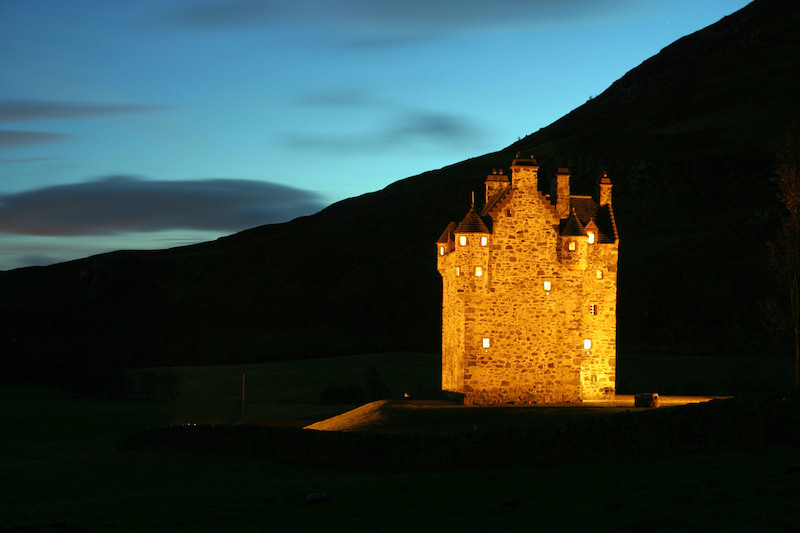 Its gory history means the castle has its own dungeon, whipping pit and drowning pool. 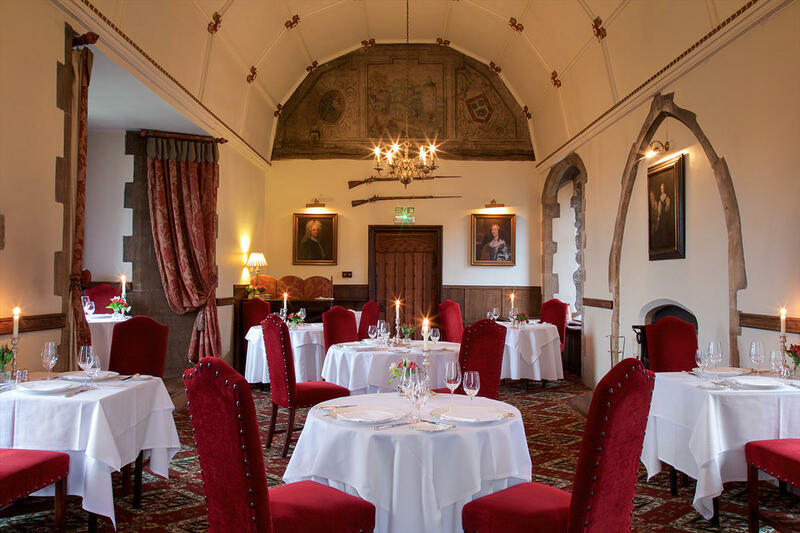 Luckily those days are long gone, and the castle is now a romantic hotel that holds medieval banquets where you can feast like Henry VIII, who once called this castle his own. Located in acres of parkland near the medieval town of Ruthin, approximately an hour via train from Manchester in the North West of England, rooms start from £65 a night. 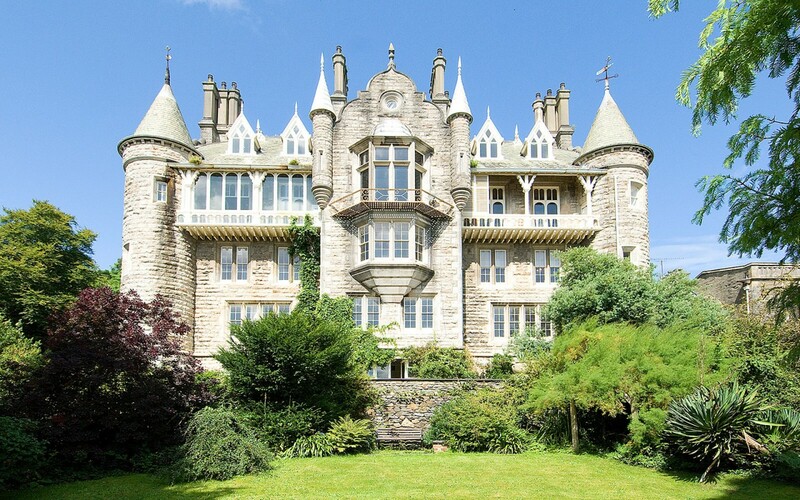 Built in 1849 by the Baronet of Bodelwyddan and his wife, Chateau Rhianfa was inspired by Loire Valley French Chateaus and retains the style today. 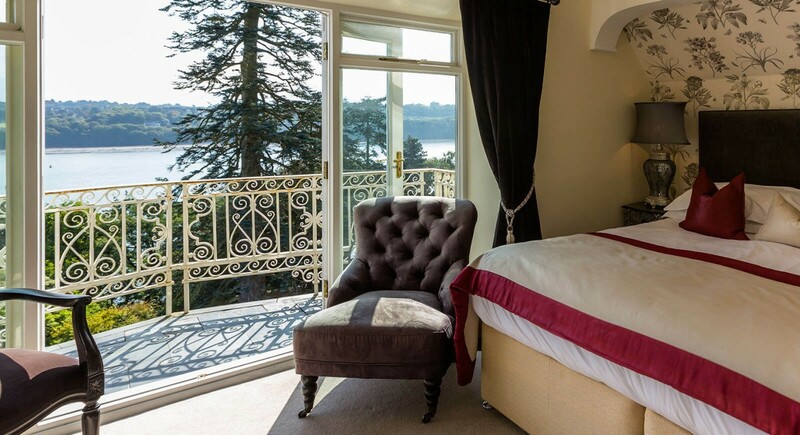 Now a grade II listed luxury 21-bedroom masterpiece, the chateau has turrets, wine caves and a grand banqueting hall as well as stunning views over the Menai Strait. One night exclusive use of The Château (sleeps 32) starts at £7,000. 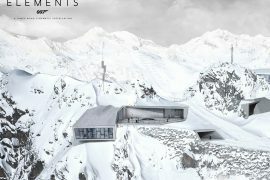 The castle is 3.5 hours via train from London, or arrive in style via helicopter, which can land in the castle grounds. 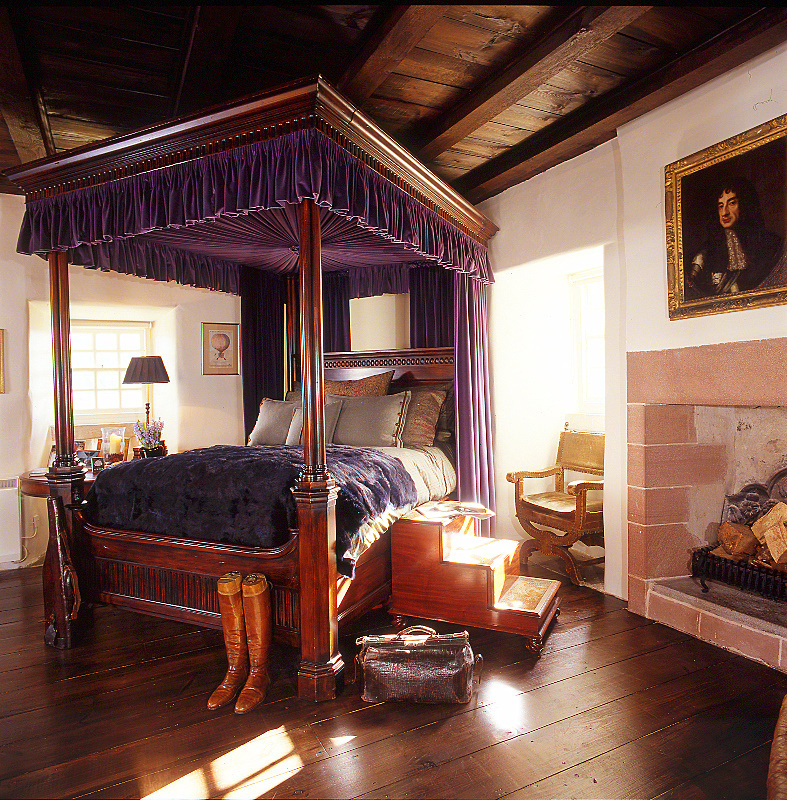 Originally built in 1560 as a fortified house to protect the Ogilvys of Airlie from marauders fighting religious battles, today The Fortalice offers luxury rooms complete with four-poster beds, and a ‘Great Hall’, which is dominated by a vast log fire and exquisite hand painted ceiling. 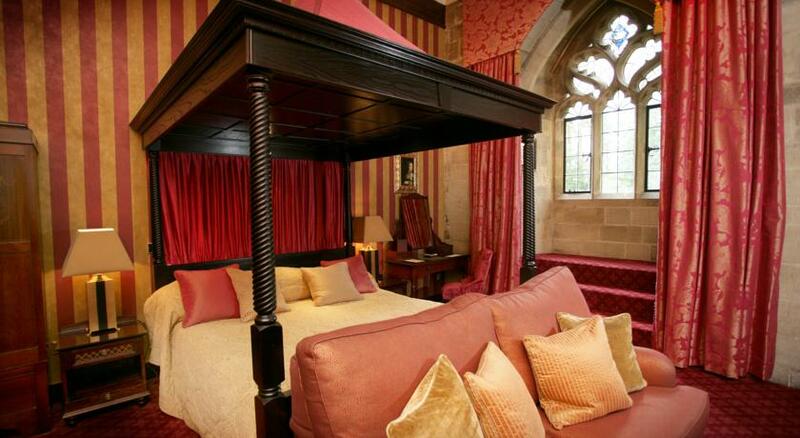 With six bedrooms, the castle sleeps 12 with prices starting from £3950 per week. 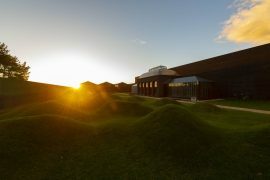 Set against a stunning backdrop of rugged Perthshire countryside, it is 2.5 hours via car from Edinburgh airport. 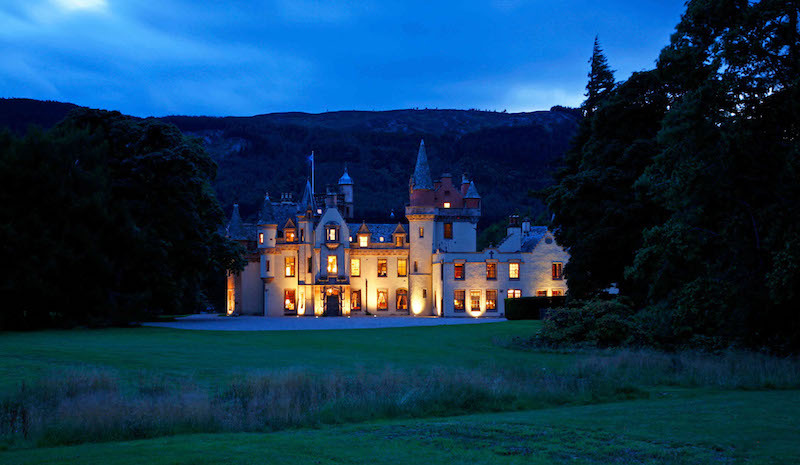 The historic Aldourie Castle is of Scottish Baronial style and the only habitable castle on the southern shores of the famous Loch Ness. 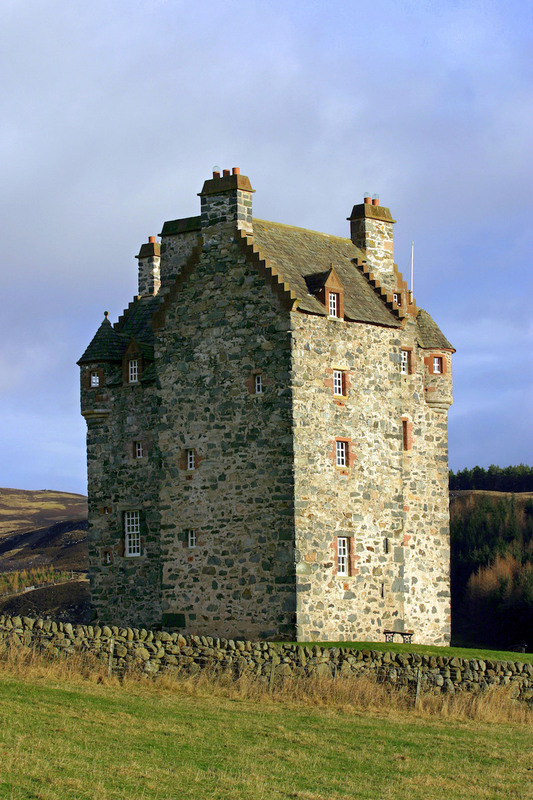 With turrets and towers, hidden doors, old family portraits and vast fireplaces, Aldourie is a medieval castle to the core. 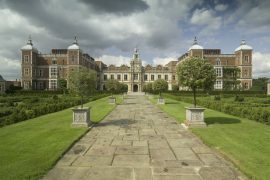 Impressively, the Estate belonged to the same family for 250 years and is now available to rent, with guests taking exclusive use of the 15-bed castle. 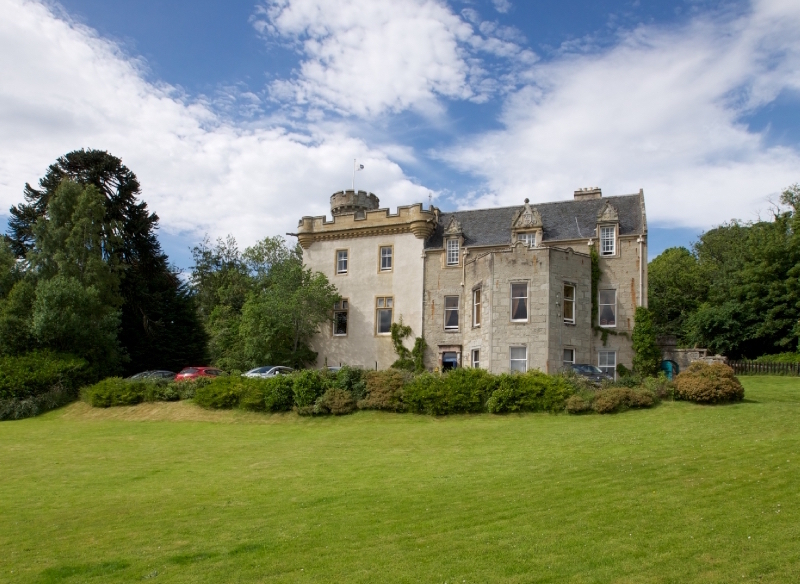 Set within a 500 acre private estate, Aldourie is five miles from the city of Inverness and 30 minutes via car from Inverness airport. 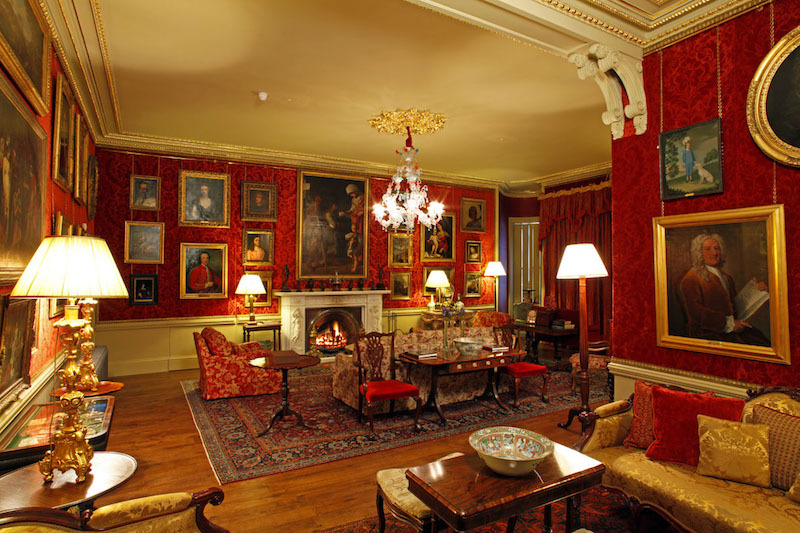 Dating from the 12th century, when only the Laird or Chief of the Clan could enjoy a stay in a Scottish highland castle, Tulloch retains many of its period features, including a 250-year old panelled Great Hall, restored original fireplaces and ceilings, and even a friendly ghost! 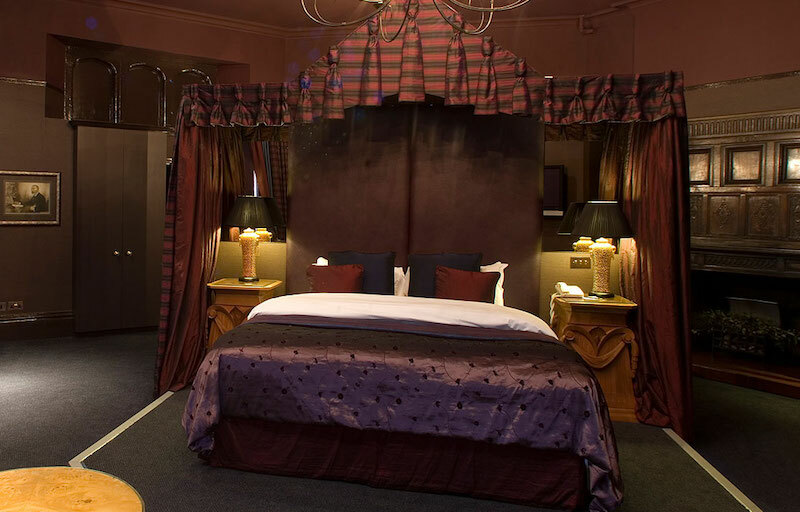 A beautiful hotel with 20 en-suite bedrooms, Tulloch offers an affordable option for those without a King’s budget, with rooms from approx £65 per night. 45 minutes via car from Inverness Airport in the Scottish Highlands. 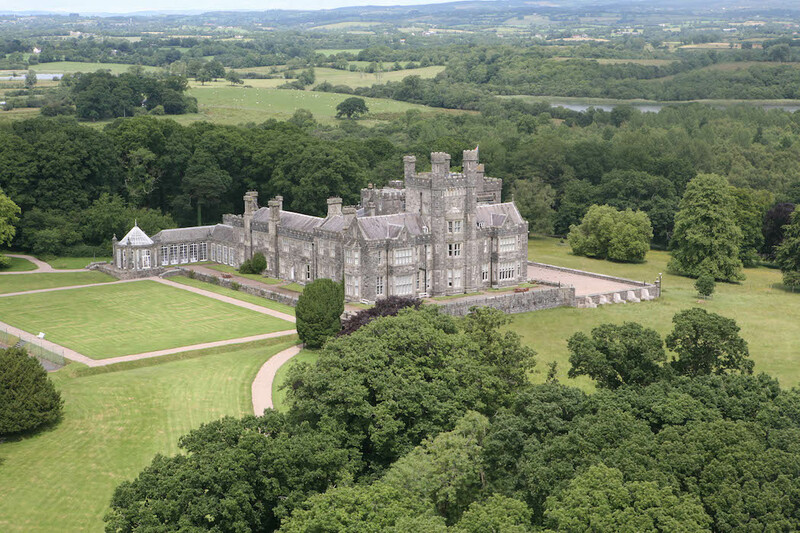 Set in rolling parkland where Jacobite battles once raged, the Crom Estate in County Fermanagh enjoys an unrivaled location in Northern Ireland’s Lake District. 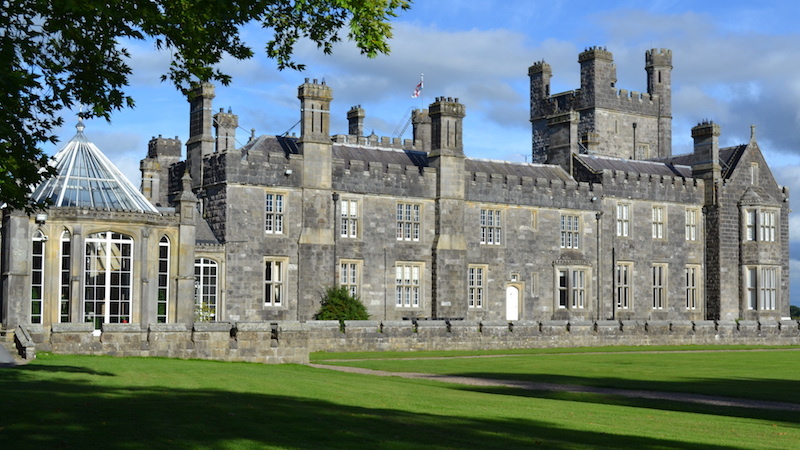 The historic seat of the Earls of Erne for over 350 years, the castle was designed by the English architect who was responsible for sections of Buckingham Palace. 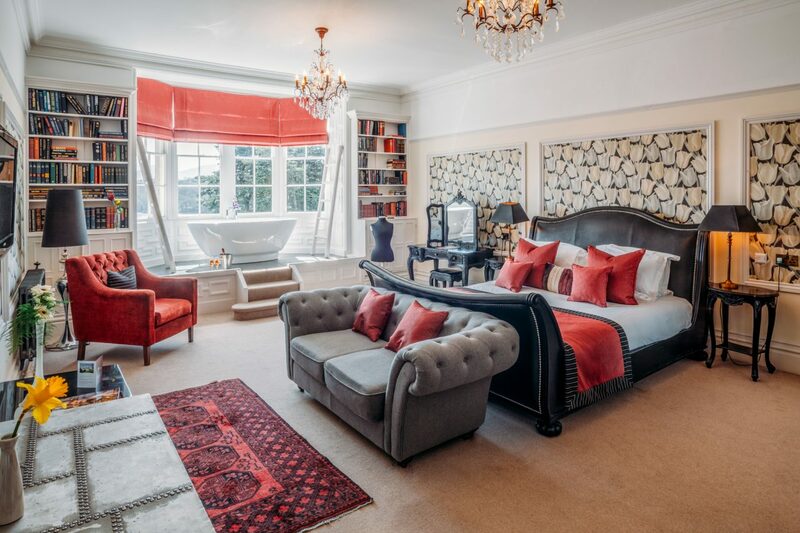 Today, up to 12 guests can stay in the 6-bedroomed West Wing of the castle and dine in the utmost splendour beneath the spectacular barrel-vaulted ceiling in the former Billiard room. 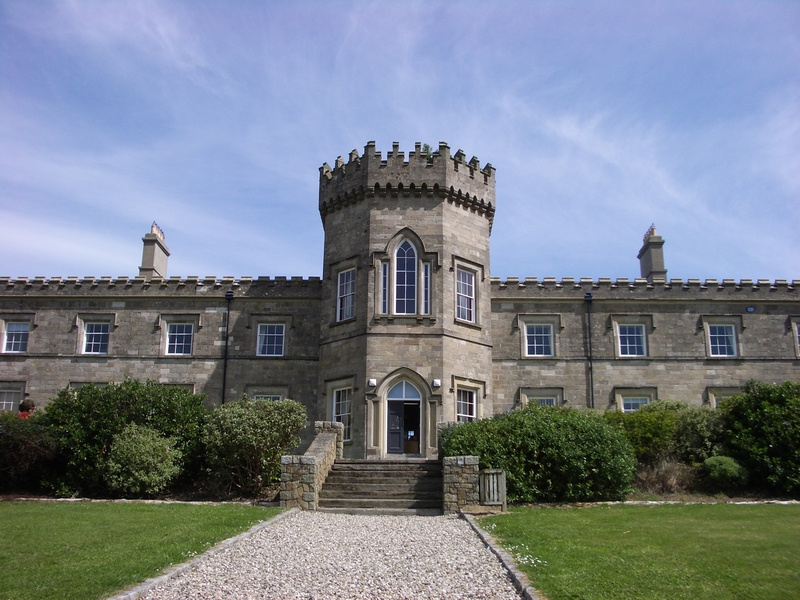 Exclusive rental is from £4000 per week and the castle is approx 2 hours via car from Dublin and Belfast Airports. Once the ancestral home of the O’Cahan clan, who ruled the area between the 12th and 17th Century, Dungiven Castle is steeped in history. The world famous song ‘Danny Boy’ is taken from a melody lamenting the passing of the last in the long line of O’Cahan chiefs; Chief Cooey-na-Gall, who is buried in the Old Priory just a few minutes’ walk from the castle. 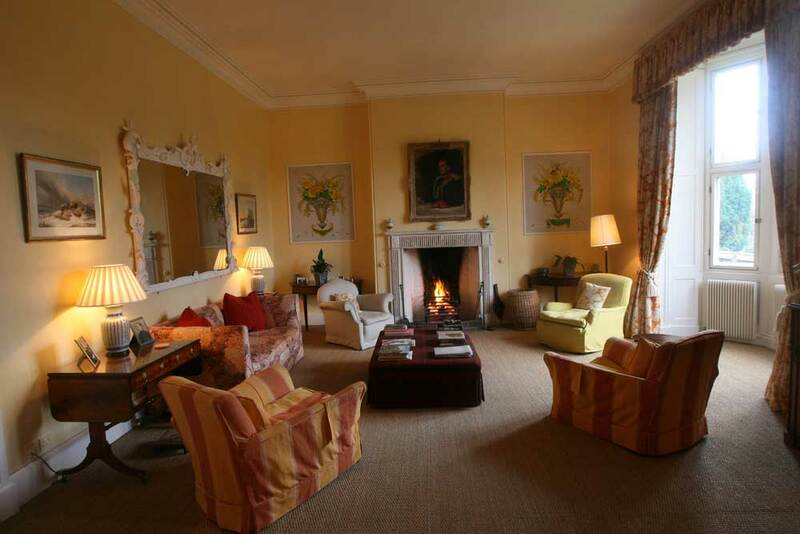 Today it is a family-run 4-star guest house and considered one of Northern Ireland’s hidden gems. 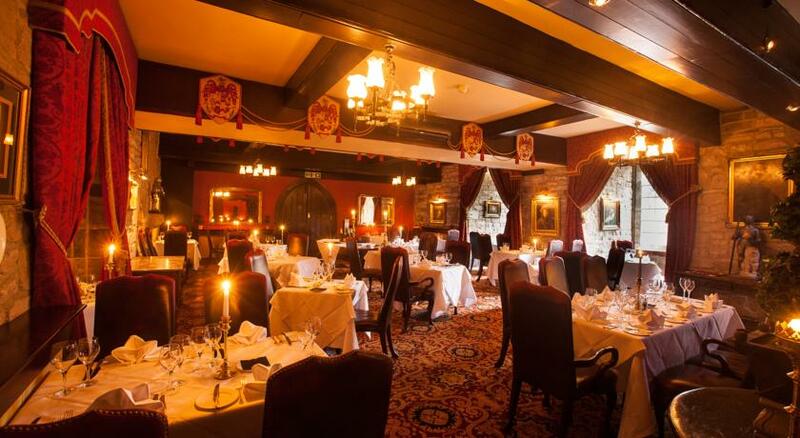 Dungiven is 1 hour from Belfast and 20 minutes from Londonderry via car. 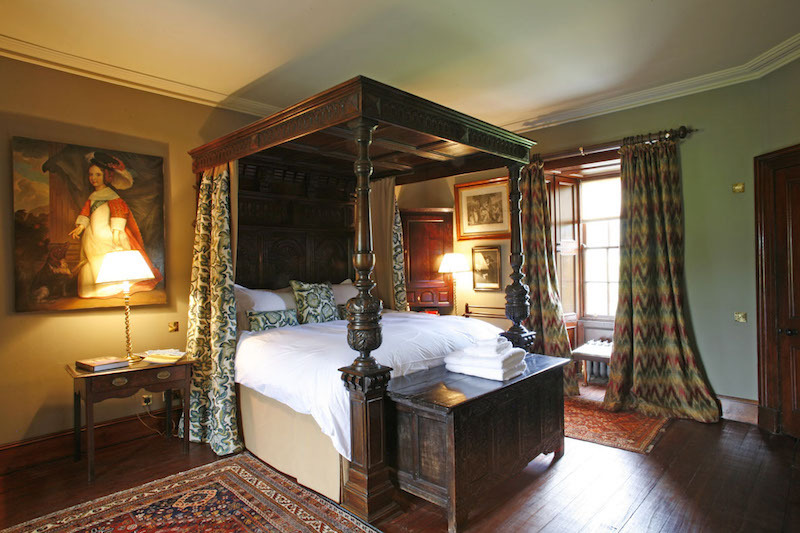 Enjoy regal dreams in the widest four-poster bed in England or spend the night in the Duke’s Bedchamber where King Henry VIII and Anne Boleyn slept 500 years ago. 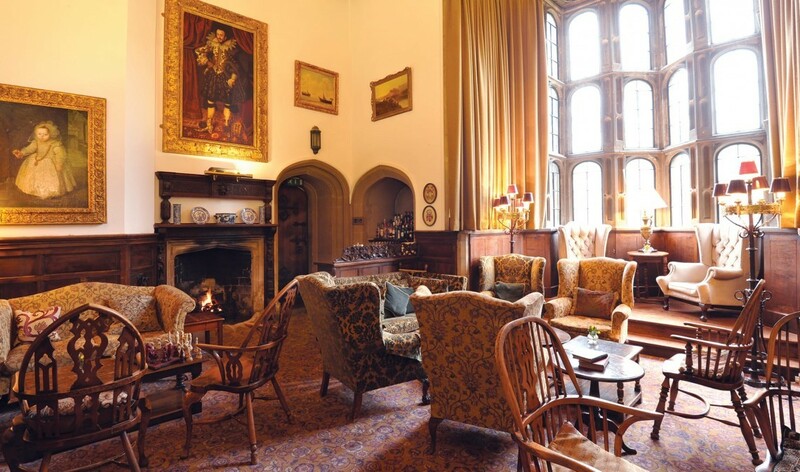 Ornate Tudor architecture, sumptuous bedchambers with hanging tapestries, and historic walled gardens complete the majesty of Thornbury Castle, where rooms start at £175 per night. 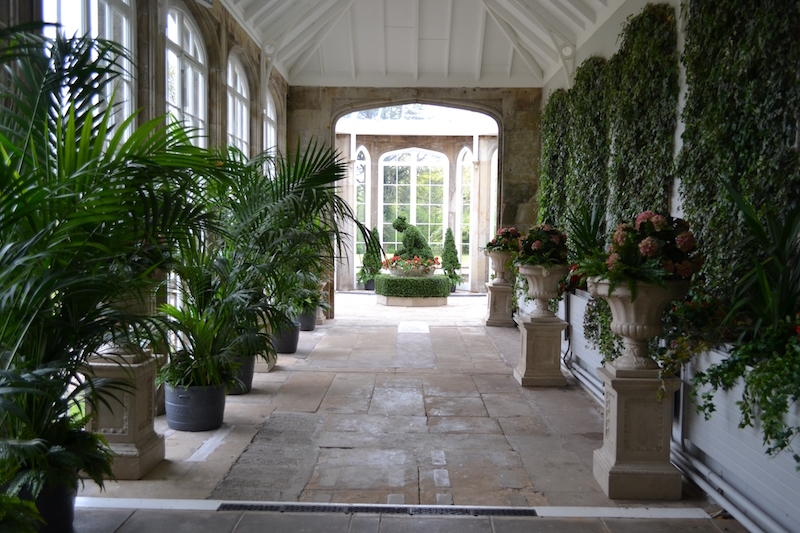 The castle sits at the edge of the beautiful countryside of the Cotswolds in Gloucestershire, approx 1.5 hours via car from London Heathrow airport. 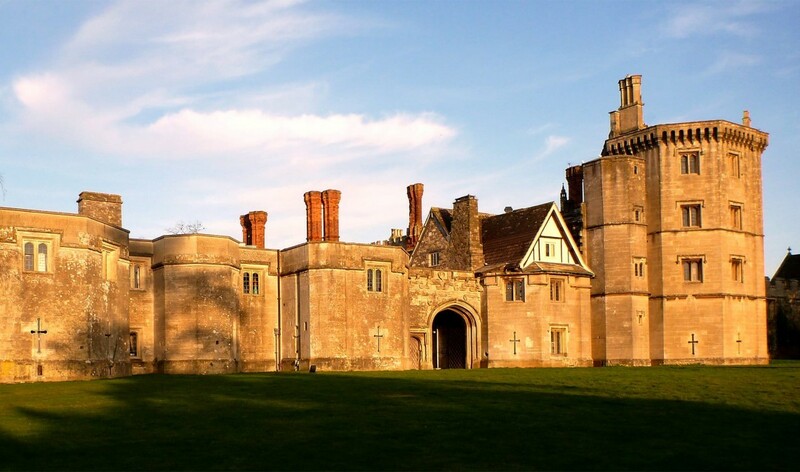 Hidden away for 900 years in the South Downs, Amberley Castle began life as a hunting lodge for the Bishops of Chichester. 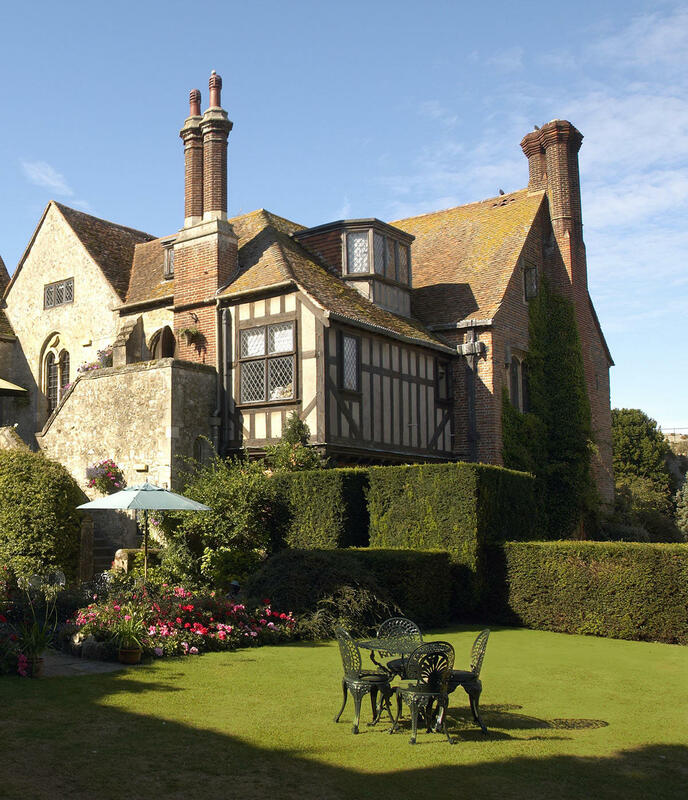 Today guests can follow in the footsteps of royalty beneath the original portcullis and 18-meter walls, the same walked by one-time owner Queen Elizabeth I, who held the lease from 1588 to 1603. 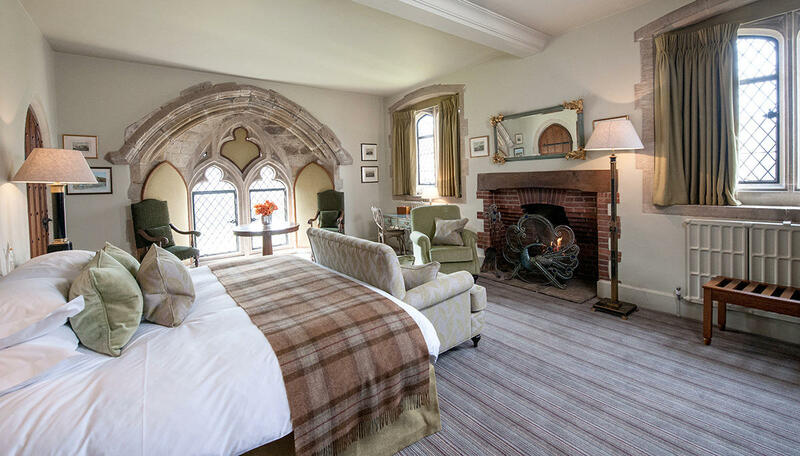 With its stunning medieval architecture, the castle is steeped in history, but there’s nothing old-fashioned about the 19 luxurious rooms, many with four-poster beds and whirlpool bathrooms. 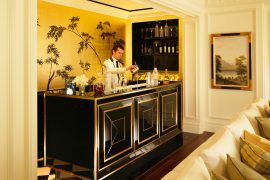 Be cosseted like royalty with rooms from £230 a night. 1.5 hours via train from London. 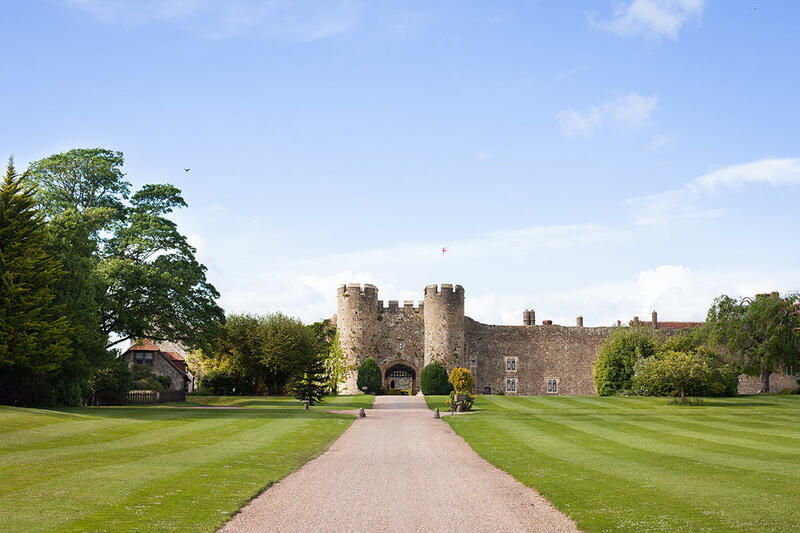 Since its construction in 1350, during the reign of Edward III, Langley Castle has been associated with the turbulent history of the Kingdom. During the 17th century the estate became the property of the Earls of Derwentwater, who took part in the Jacobite risings of 1715 and were executed at the Tower of London. 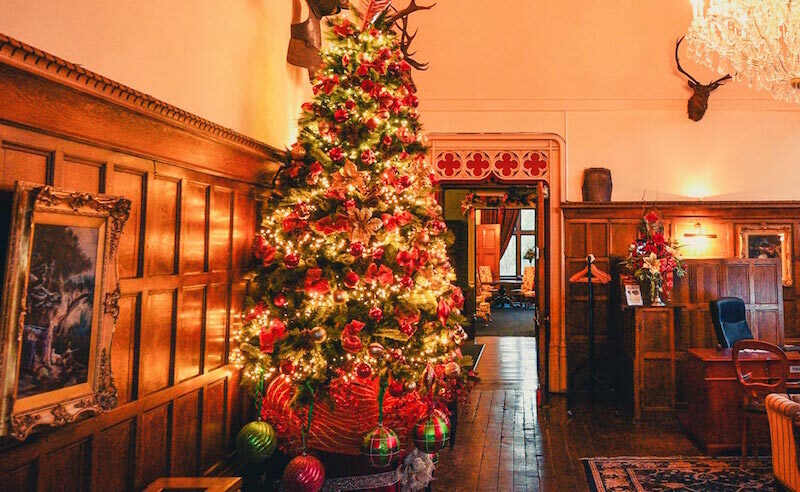 Now a luxurious hotel nestled in its own ten acre woodland estate, the castle has retained its architectural integrity while allowing guests to enjoy four-poster beds and window seats set in the 7ft thick castle walls. 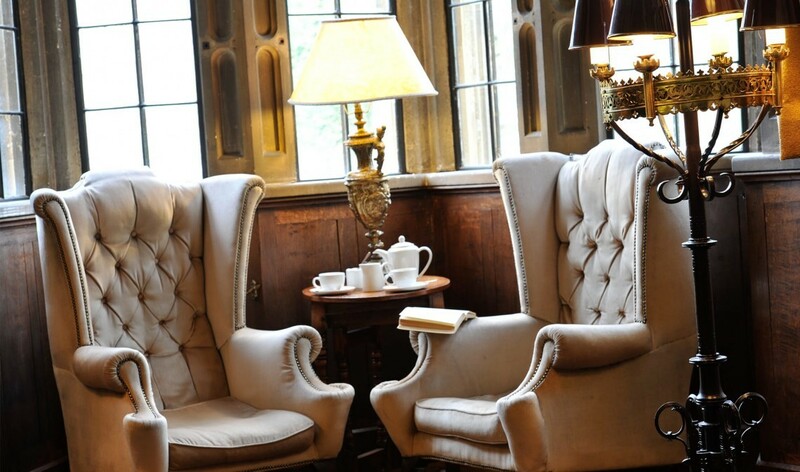 The castle is approx 3.5 hours via train from London and rooms start from £77.50 per night.